6-Bedroom Oceanfront Kid-Friendly House Rental with Large Swimming Pool. 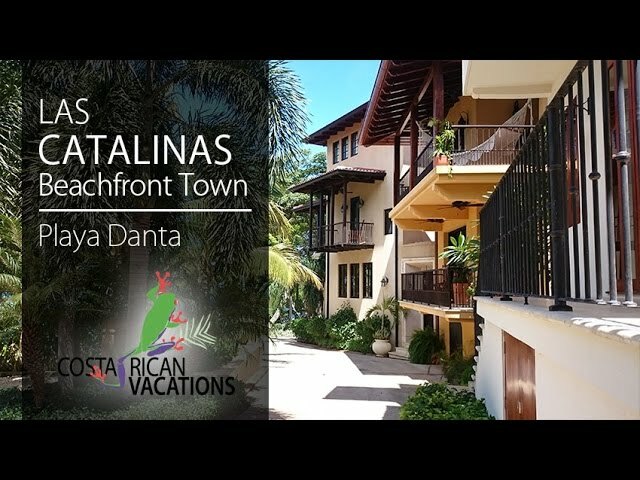 Casa Brewer is a spacious, kid-friendly, home rental located in the Las Catalinas beachfront community on the northern Pacific coast of Guanacaste. The house is part of a beautiful and engaging environment of pedestrian-only streets, gardens, and plazas, perfect for a extended family Costa Rican vacation. The property is designed in such way as to offer privacy yet have abundant outdoor living space, including open-air galleries on the first and second floor which function as primary living areas for the house. Casa Brewer’s main house has four bedrooms, including two master bedrooms offering the ultimate in luxury with great ocean views, king beds, large porch, walk-in closets, freestanding tub, and indoor and outdoor showers. The bunk room offers four bunk beds plus two trundle beds, making comfortable sleeping quarter for up to six people—perfect for kids and their friends. The living room opens to a sizable porch overlooking Paseo del Mar and the ocean. The kitchen is stocked with a full array of professional cooking utensils, appliances, serving dishes, etc., but you can always opt for ordering food from the nearby Green Restaurant. The open-air dining room provides a great setting for poolside dining as the swimming pool enters the gallery in a half circle, providing shimmering light day and night. The guest house has a spacious living and dining area downstairs that opens onto the courtyard. Upstairs are two bedrooms, each with queen beds. It can comfortably accommodate a whole family of visitors. You can explore the property’s conservation area trails or rent kayaks, paddleboards, and snorkeling equipment to have some fun in the water. A sand beach perfect for sunbathing is a stone’s throw away from the front door, and, for more privacy and comfort, take advantage of the saltwater pool set in the courtyard, with breezy galleries and over-sized swinging daybeds which will lull you to sleep.